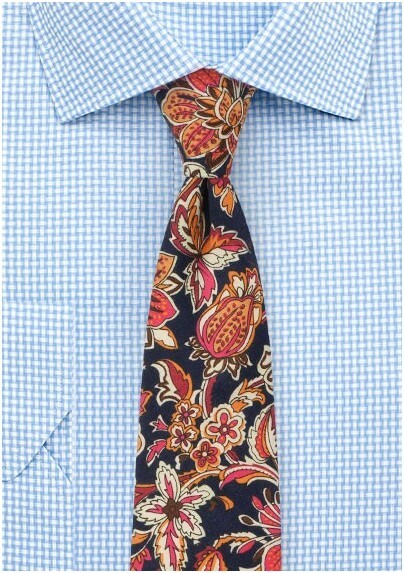 This new floral tie was inspired by vintage wallpaper design. The dark navy background is decorated with colors pink, fuchsia, pastel yellow, burnt orange, brown, and ivory. 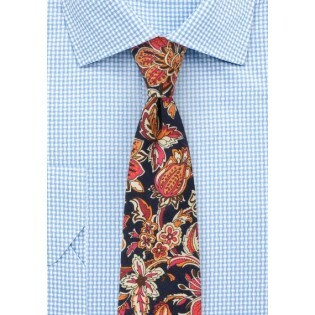 A fun summer tie that looks best when worn sans suit jacket but instead with a fitted linen vest in navy, tan, or olive. Made from finest printed cotton by BlackBird designer neckwear.